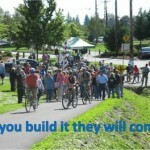 Snohomish County Bikes: an ongoing series highlighting great Snohomish County bike rides. Share your own great ride with us here! Gravel grinding is one of the cycling industry’s genres-du-jour. Loosely defined as any ride taking place predominantly on dirt and gravel fire roads, logging roads, or the thousands of miles of Midwestern “B roads,” gravel-grinder races and events are popping up all over the place from the original TransIowa race to Vicious Cycles’ Gran Fondo series in Eastern Washington. And though the terminology is as much marketing as anything, gravel grinding’s popularity makes sense. After all, who doesn’t love a good, challenging two-wheeled adventure with little to no car traffic to distract from the ride? 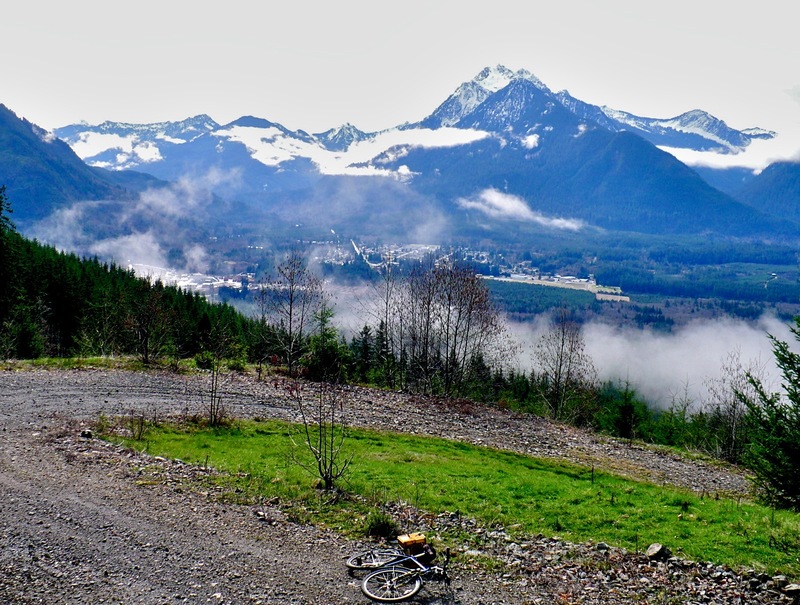 Nestled between impressive Cascade peaks at the northern tip of the Stillaguamish Valley, the town of Darrington is a hotbed of gravel adventure riding opportunities. Over 100 years of mining and logging industry have left a large network of gravel roads snaking their way through the forests around town. 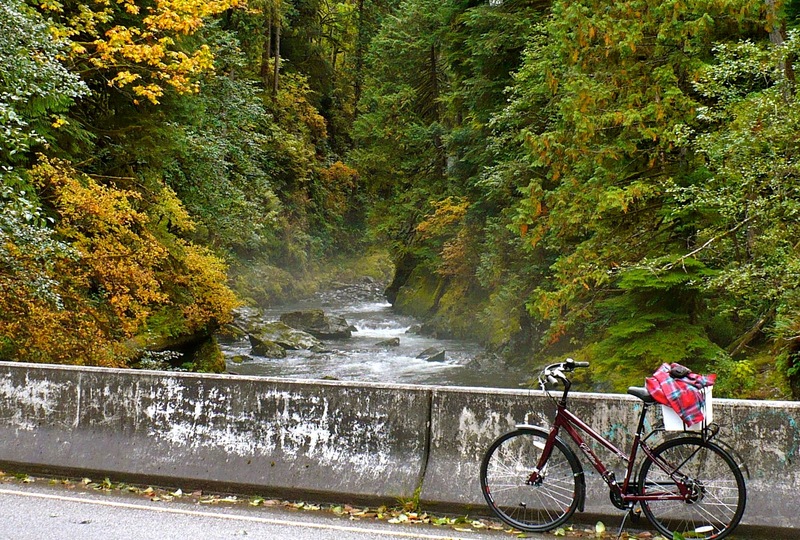 Darrington cyclist George Winters has spent years exploring and mapping gravel routes that leave right from town and offer terrific views of waterfalls, rivers, lakes, and, of course, the Cascade Mountains. He’s compiled that knowledge into a comprehensive map with GPS tracks, photos, difficulty rankings, and riding tips. 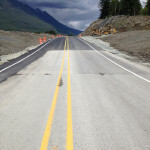 Extensive gravel griding opportunities exist in Darrington. The routes listed range from 5-23 miles. Because they all loop back to town, they can easily be combined for longer days in the saddle. Winters rides these routes on a 1.5-inch wide mountain bike tire and recommends people use a GPS unit for navigating. If you’re only going to do one, Winters suggests Bridge to Nowhere-Whitehorse Trail as the loop to do. 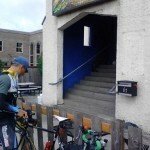 The route starts on the northern terminus of the Whitehorse Trail before connecting with DNR logging roads that loop back to the Whitehorse at the Bridge to Nowhere. At 12 miles, it’s short enough to be accessible, but features steep gravel climbs. It is rated 3 stars on a scale of 1-to-4. Bridge to Nowhere. Photo by George Winters. The Squire Creek Loop: A looped trail through mixed old and young forest with views of a beaver pond, and Jumbo and Whitehorse Mountains. 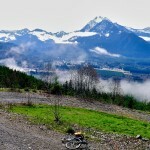 The North Mountain Climb: A challenging climb that rewards riders with wide-open views of Jumbo and Whitehorse Mountains and the Stillaguamish Valley. The Gold Hill Loop: A scenic, 24 mile ride on paved and gravel roads with occasional views of Pugh and Whitechuck mountains, Clear Creek, and the Sauk River. When you’ve had your fill of gravel adventure consider swinging by Mountain Loop Books and Coffee to refuel. The owner Tony bike toured across Ireland and loves to chat with his customers. Or quench your thirst at the newly opened Whiskey Ridge microbrewery located in the old City Hall building. This article was posted in Adventure, Darrington, Guest Blogger, Snohomish County, Travel. Bookmark the permalink. Follow comments with the RSS feed for this post. Both comments and trackbacks are closed. Thanks so very much for mentioning us and our friends at Mountain Loop Books! You’re welcome! Love the riding in your area (and the beverages and books).